For veterans of the Vietnam War, sharing their stories more than 50 years after the fight hasn't come easily, or even at all. Talk of Vietnam became personal for Journalism graduate student Tara Mesyn after her father-in-law briefly opened up to her about his experience. Inspired, Mesyn combined her personal connection with her photojournalism skills to create an oral history and portraits project that honored veterans’ stories of Vietnam. She recently shared her research at VisCom, a conference where academics and creatives can present their work to others in the visual communications field. 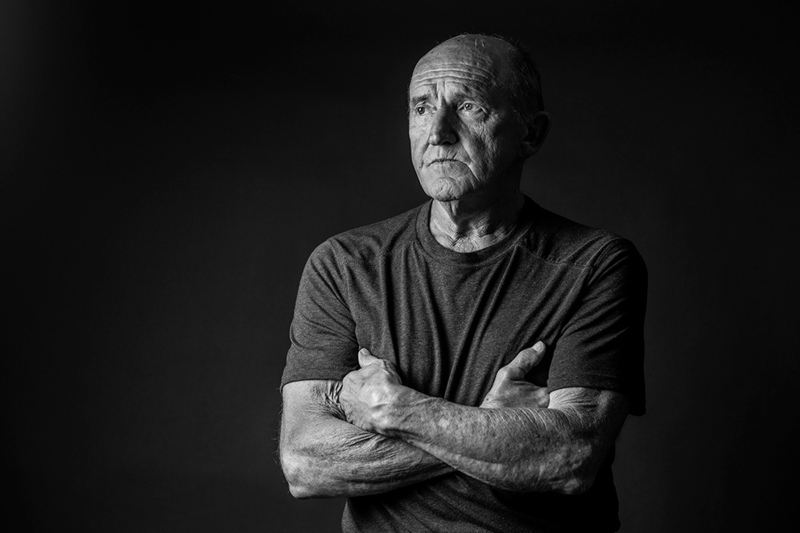 Mesyn’s project, titled “American Hurt: Vietnam Veteran Portraits & Perspectives,” is a website composed of images of Vietnam veterans alongside audio of them talking about their experiences during and after the war. The simple but powerful black and white photos beautifully capture the spirit of the men Mesyn interviewed. Through word of mouth, Mesyn’s interviews have expanded beyond her family. To date, she has spoken with and documented the stories of six veterans. All the information she receives is offered voluntarily, and she makes a point to never press for more than the veterans are comfortable sharing. Before interviews, Mesyn uses questionnaires to research each individual’s experience, such as where they were stationed in Vietnam and what their job was while they were there. Mesyn’s plan is to extend “American Hurt” into her Information and Media Ph.D. dissertation to include perspectives from other groups involved in the conflict, as well as additional historical and political research. She acknowledged that Vietnam has a complex, intertwined political history. By adding other voices to the project, she hopes to include a greater depth to the current materials. For Mesyn, one of the biggest takeaways from speaking with veterans has been the impact Vietnam had on their lives as young men serving in a controversial conflict, and the impact it continued to have after they returned. There has been some trial and error for Mesyn, but she’s thrilled with how the project has evolved along the way. The website is under development, and she is still conducting interviews. Mesyn is optimistic about where the project could lead.